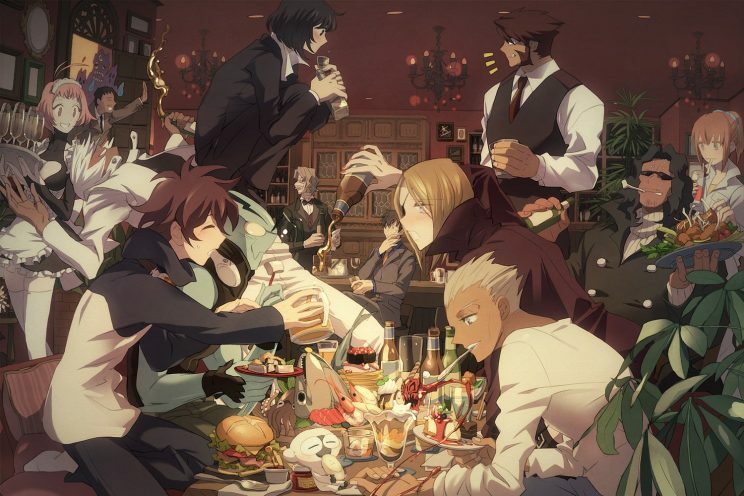 Blood Blockade Battlefront – Nigorimasen! Have you ever been to New York City, so great, they had to name it twice? I was there recently and it is everything they say it is and more. As “The Town That Never Sleeps”, it is a magnet for all kinds of movies and shows based there. Although never officially named in this anime, it takes place in The Big Apple, or, as they call it, Hellsalem’s Lot. You see, Hellsalem’s Lot was created when a portal to the “Beyond” opened, becoming, in the process, a paranormal melting pot of monsters, magic and the everyday mundane life. Three Card Monte was never like this!